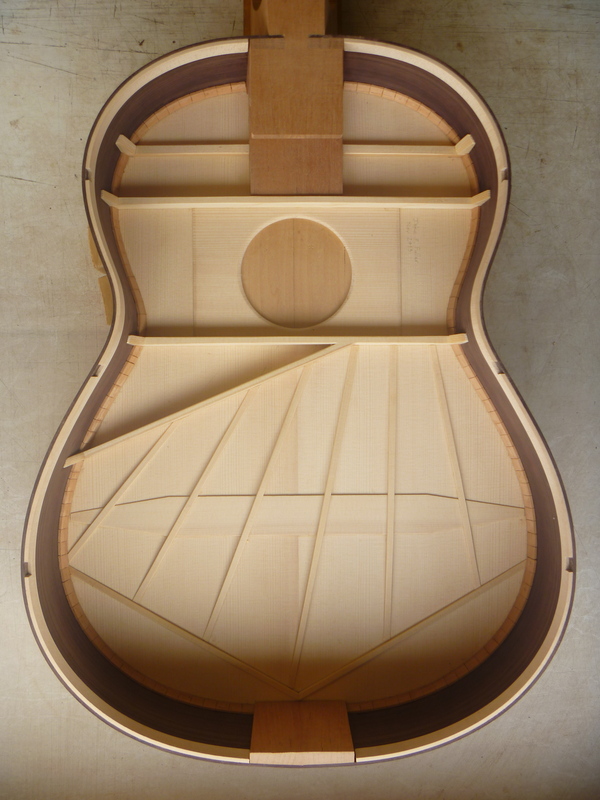 In my previous work I concentrated on making guitars that had a wide range of tonal qualities. My design has evolved over the years and incorporates methods which I have copied or adapted from some of the great makers. Gradually I have come to a method of construction and pattern of strutting which I believe works and which has become my own. The link below is a recently made film of Ian Watt and Mathew McAllister playing a recent guitar of mine. The film was produced by David Kinnear of DK Guitars in Glasgow. It was pleasing to hear these professional players picking up on the qualities I aimed for in my instruments. It is important for me to make not just a one sounding instrument. The ideal guitar is one that can do all that the musician requires. A true concert instrument should be one that all the repertoire can be attained. 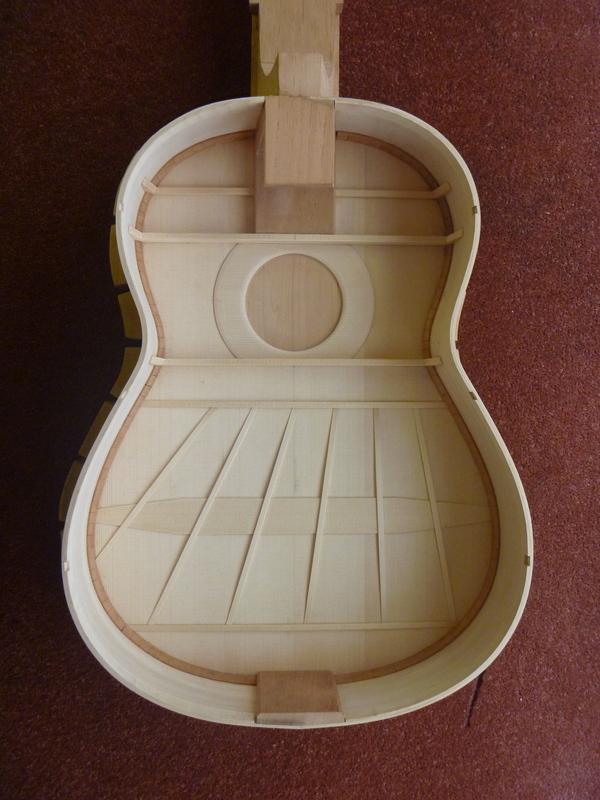 Below are some pictures of previous guitars in construction. Guitar no. 83 was a continuation of the asymmetric fan strutting. With this guitar I wanted to leave out the treble cut-off bar in order to increase the area of movement in the lower bout. Also I was influenced by some of Khono’s ideas of shortening the fan struts by adding transverse struts. I was very happy with the outcome of this last guitar and will stick with this pattern for a while.